What’s Feeding Your Body, Mind, and Spirit? How to Live for Optimum Health. Some say ‘health is wealth’. I say “health is love”. What are you feeding your body, mind, and spirit? Health is an outward expression of inner love. To be healthy is to fully love our body, mind, and spirit. When we eat nutrient-packed foods and drinks, keep the body moving and active, and give our body, mind, and spirit the needed meditation, rest and downtime, we experience optimum health. Not only are we what we eat, but we are what we feel, think, breathe and practice. Health goes far beyond the human perception of aesthetics. It is expressing our love for Self. No matter how healthy we feel in one area, sometimes there are other areas that can use improvement. Observe where you are lacking health and get the wheels in motion, in whatever area of the body, mind, or spirit that can use improvement. 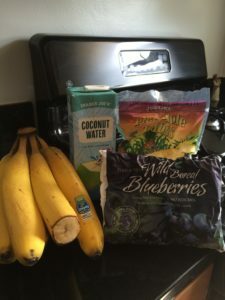 This page will have recipes for healthy shakes, healthy meals on the go, healthy meals for the whole family, work-outs that bring energy, and lots of love and on-going positive support. Remember, whatever you are now, love it. And whatever you desire to achieve, know that you already have! 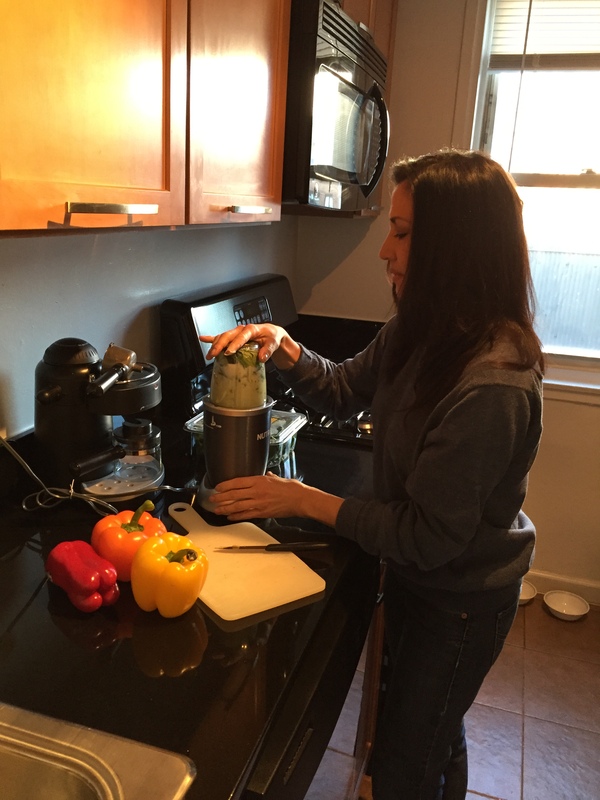 I use the Ninja and also the Nutribullet. Both work well because it blends quickly…just enough to blend up smoothly and still keep the enzymes alive. 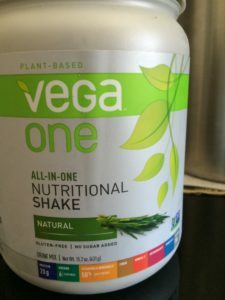 I use Vega One protein powder, but you can use any organic unflavored green vegan protein shake that you like. Note: Place ingredients in order as listed below. Blend a few seconds. Drink immediately if possible, or take with you to work or wherever you are headed as a power snack for later. Blend for a few SECONDS. Don’t over blend. *Alternatively, you can use Organic Flax Seeds. You can have fun with variations by adding fresh/ frozen pineapple, or a 1/4 frozen peeled banana. These are also good options. Be mindful of the portions of fruit.